Our expansive network of TV, Internet and Phone service sites gets you into Homes and Businesses - EVERYONE Needs our services. 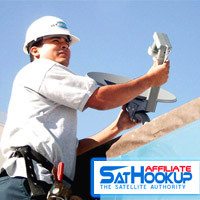 What is SatHookup SatHookup is an extensive network of local satellite tv (Dish Network, Directv, FTA), satellite Internet, home theater installers and local providers across the 48 continental United States. We are made of the small businesses and entrepreneurs that constitute the fabric of future prosperity. 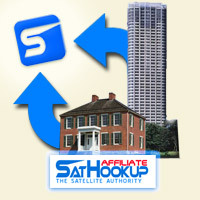 SatHookup is seeking companies and independent installers to utilize our vast inventory of online advertising space. Buy your advertisement direct from the the most trusted source of tv, internet and phone information online and split the middleman's cut with us. Pure efficiency. Local/State advertisment starting at $19.95/mo. with Nationwide Ad campaigns as low as $250/mo. We service Big Clients such as Hooters, Universal Music, Warner Brothers, Dole and many other commercial installations to small business and residential customers in your community. CEOs, Government and School Boards love SatHookup. Put your message in front of leaders and build brand partnerships! Utilize the power of the SatHookup Network to deliver your services locally to potential customers WHEN they are looking for your services! 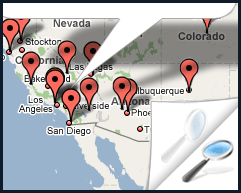 How: We have the most accurate database displayed of local installers and dealers. 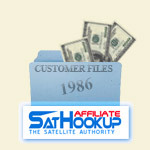 Potential customers visit SatHookup when they need service from a local provider (you).